Taking the time to stop and smell the roses (or any flowers) can lead to a painful experience for your dog if a bee happens to be hovering nearby. Although bee stings certainly aren't comfortable, they usually don't cause severe allergic reactions in dogs. If your pooch does encounter a stinging bee or wasp this spring or summer, these steps can help soothe the pain. Honeybees leave their stingers behind when they sting. In fact, venom continues to enter your pet's body for several minutes after a sting unless you remove the stinger. Don't use your fingers to pull out the stinger, as you may accidentally force more venom into your pet's skin. Instead, gently scrape the stinger off with the edge of a credit card and wash the skin with warm soapy water. If you can't locate the stinger, give your furry friend a bath instead. Bathing can help dislodge the stinger and help soothe the skin. Cold compresses offer a simple way to reduce pain, redness, or swelling. Cold washcloths, freezer gel packs, ice in a resealable bag, or bags of frozen vegetables make good compresses. If you use a frozen compress, be sure to wrap it in a towel to prevent frostbite. Leave the compress in place as long as your dog will allow but for no more than 20 minutes at a time. After a few minutes of cold compress therapy, most dogs will feel much better and won't require additional treatment. Oral Benadryl can also be helpful in reducing swelling. Before you offer your furry friend the over-the-counter medication, ask the veterinarian if it's a good idea. Since pets require different dosages than humans, you'll want to be sure to give the veterinarian a call. If you notice any of these signs, take your dog to the veterinarian immediately. 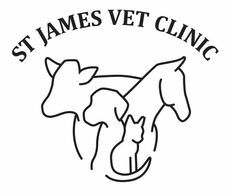 Visit your local emergency clinic if the vet's office happens to be closed when the sting occurs. Once your dog arrives at the office or clinic, he or she may be treated with injected Benadryl, fluids, and steroids. Your pet may need to stay at the vet's office for a few days while he or she recovers. Problems can also occur if your dog is stung by a bee or wasp in the nose, mouth, or throat. Although your pet may not be allergic to bees or wasps, stings in these sensitive areas can cause swelling that partially or fully blocks airways, making breathing difficult. Severe swelling in the mouth, nose, throat or neck warrants an emergency trip to the veterinarian. Checking for Hives and Nests: Dogs are curious by nature and don't understand it's not a good idea to poke their noses in beehives or wasps' nests. Even if your pet isn't usually allergic to stings, being stung many times can expose him or her to large amounts of venom that can cause a severe reaction. Check the nooks and crannies of your property weekly for signs of hive or nest building. If you do notice hives or nests, remove them promptly or ask a professional exterminator for help. 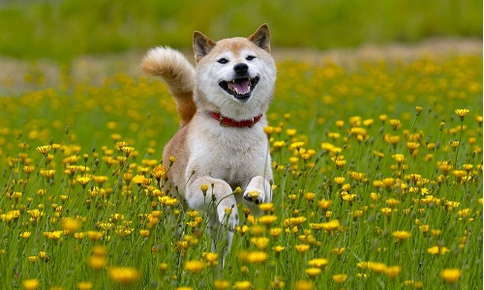 Limiting Exposure: If your dog can't reach flowering plants, he or she is less likely to be stung. Keep flowering plants in your yard behind fences and dissuade your pet from sniffing plants when you're out for a walk. Removing Food Promptly: After you enjoy a meal on your deck or patio, cover or remove leftovers as soon as possible. Since bees are particularly attracted to sugary foods and beverages, keeping them out-of-reach can help protect your family and your pets from painful stings. Bee or wasp stings are little more than a minor, but temporarily painful, nuisance for most dogs. If your pet displays any of the signs mentioned above, or you're concerned about his or her symptoms, call us immediately.